Agile Q&A is a regular feature highlighting leaders in agile government and their projects. 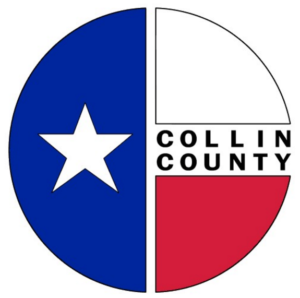 Citizens of Collin County, Texas are benefiting from a ‘mobile elections’ app that makes it easier to find polling locations with shorter lines, thanks to an agile sprint by Collin County’s GIS team. The simple app made a big difference on voting day, earning recognition in the Center for Digital Government’s 2014 Best of Texas Awards and as a semi-finalist in the 2017 Innovations in American Government Awards. Tim Nolan, Senior Applications Manager for Collin County, shares some details about the agile process for the tool. Was the development of this app agile from the beginning? Yes. In fact, this project launched the GIS team’s journey into agile. Do you know how many sprints it took to build it? Only one Sprint (2 weeks). This is a very simple application by design. We built the initial version in one Sprint prior to the 2012 Presidential Election. It took another Sprint to add our routing feature for the 2014 Mid-Terms. We partnered with a consultant to add our latest line wait feature for the 2016 Presidential election, which took about three weeks. We tracked the progress and testing throughout two Sprints. How were agile methods particularly helpful to this project? We use Scrum in Collin County. By breaking down the project into stories and tasks, we were able to clearly visualize the work that needed to get done. The time-box nature of the Sprint urged us to have a working demo by the end. The initial project (in 2012) launched the GIS Scrum team. They now do all of their work in Sprints. How did you do user testing for the app? Did the process uncover things that needed to be changed? We have a DEV environment for all of our testing. However, it is impossible to predict the turnout of any given election. The true test (as with any true test) is to monitor the performance of the app in the wild. This was particularly true for the 2014 version when we added our routing feature. We updated our core application and infrastructure between the 2012 Presidential and the 2014 Mid-Term elections. Our original app would not run within the new infrastructure. We had to completely rewrite for the 2014 version. These issues were exposed very clearly during the Sprint since we are tracking progress daily. The other concern is that you cannot reschedule the Election. The app either works or it doesn’t by Election Day. Nobody cares after the Election. We launched our 2014 Mid-Terms version with routing fifteen minutes after the polls opened on Election Day. Now that’s cutting it close!